In the framework of Erasmus+ Programme, the European Commission has adopted a general policy which aims to integrate people with special needs in all of the activities, especially in education. To ensure that students with special needs can take full advantage of the European mobility arrangements, the Erasmus+ Programme pays particular attention to guidance, reception, physical accessibility, technical support services and financing of the extra costs. All students with special needs that have been selected to perform their mobility for studies or for placement as well as the staff with special needs of the Sending Institution who are going to perform their mobility for teaching or for training, are eligible for this additional funding in the following cases:i) their mobility has very high cost and ii) this cost cannot be funded by other means, i.e. national funding. 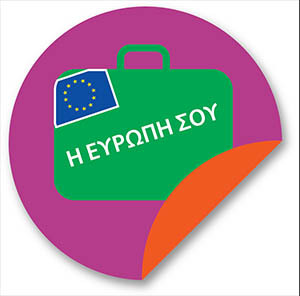 The applications are submitted to the European Program’s Office of A.U.A. while individual applications submitted directly to the State Scholarship Foundation (Ι.Κ.Υ.) are not valid. The final decision for this additional funding is taken by the National Agency/ State Scholarship Foundation (Ι.Κ.Υ.). All persons applying for this additional funding should know that the acceptance of their application is not automatic since it depends on the total number of applications sent to the National Agency by all High Institutions as well as the available funds. At this point, it is critical to mention that even if the application is finally approved, it is possible that the actual funding will be less than the one applied. Finally, all applicants should have in mind that the preparations for the mobility should start in time, at least 6 months earlier than the starting date of mobility. the difficulties that this disability causes in the mobility of the student/professor/staff member and the specific additional requirements needed to overcome them. For this reason, in the application there must be a thorough description of each case and a detailed financial budget for the additional needs provisioned to be caused by the disability during the mobility period in AUA. The form for the detailed financial analysis must be attached in the application. The applicants should provide fully detailed information concerning any financial support or contribution in kind that they receive apart from the ERASMUS grant (i.e. caregiver) and they should explain why it cannot meet the demands during the specific mobility period. In the application, it should also be submitted a certificate that AUA is fully aware that the applicant student/professor/staff member has special needs and that AUA can provide all the necessary facilities and support as well as that the buildings, amphitheaters, libraries, laboratories and offices are accessible by the student/professor/staff member with the special needs. It is pointed out that the applicants who will receive additional funding are obliged to submit a financial review to AUA upon return. All expenditures must bear the relevant proofs (invoices, receipts) otherwise they are not eligible. In case that the actual eligible expenditures are less that the additional funding the difference will be returned.